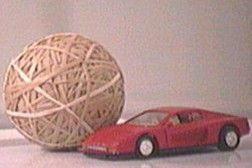 This instructable will show you how to make a rubberband ball that you can work on when ever you have free time. DANG! you must have some time on your hands. did you try playing basketball with it? that would be fun until the ball exploded. Just on a side note you don't need a marble. 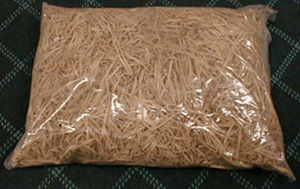 Instead just take one rubber band(a small one works best) and smush it up into a little ball. Then start wrapping. Thats how I made mine. Hey :] nice rubber basket ball lol But how you did the giants rubbers bands to put around the ball? to bad it isn't a real car, that would be sweet. wow, nice job making it as big as the basketball, thats crazy! So you're going to make a ball bigger than 6 feet in diameter? Do you continue to add rubber bands as a chain, or as single rubber bands?